Some of the biggest high-tech deals never happened. Some of the most promising products and services never came to be. Why? Because the people and companies involved didn't realize what they were letting slip through their fingers, or they simply couldn't foresee what would happen afterward. Change just a few circumstances, and there might not be an Apple or a Microsoft today. Yahoo might be the king of the search hill, with Google lagging behind. You might be reading this on a Xerox-built computer via a CompuServe account while listening to your favorite tunes on a RealPod. People say hindsight is 20-20. If so, our vision is acute. Here are our picks for the biggest missed opportunities in the history of technology. In 2006, Facebook was a two-year-old social network that most people thought of as a digital playground for Ivy League brats. In the world of social networks, MySpace's 100 million members totally swamped Facebook's 8 million. So when Yahoo offered to buy Mark Zuckerberg's baby for a cool $1 billion--nearly twice what Rupert Murdoch had spent for MySpace in 2005--people said, "Take the money and run, Mark." 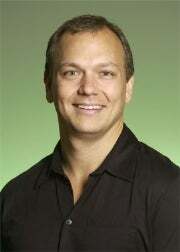 In fact, the then-23-year-old and Yahoo shook hands on a deal in June 2006. Then Yahoo posted some bad financials, and its stock dropped 22 percent overnight. Yahoo's CEO at the time, Terry Semel, reacted by cutting the purchase offer to $800 million. Zuckerberg balked. Two months later Semel re-upped the offer to $1 billion, but by then it was too late. Today, Facebook boasts some 250 million registered users and is worth roughly $5 to $10 billion, depending on who's counting. Three years and two CEOs later, Yahoo is still struggling to survive. Few format wars have been as costly to their participants as the fight over a new high-definition disc standard. In one corner stood Blu-ray, championed by Sony. In the other corner was HD DVD, led largely by Toshiba. From 2002 onward the two sides wrangled, each signing up allies to support its own competing, incompatible format. In 2008 Sony slipped the knife into Toshiba by paying one of its biggest backers, Warner Brothers Studios, a reported $400 million to drop HD DVD in favor of Blu-ray. Interestingly the same parties had battled in the mid-1990s over a new high-res format for movies. Back then they settled their differences, combining the best of both specs into something called Digital Versatile Disc, better known as DVD. The missed opportunity to come out with a single HD format sacrificed years' worth of sales for every company involved. Had the two sides joined forces in 2002, high-def discs would be the dominant delivery medium for movies and shows now. Instead, today DVDs still outsell Blu-ray titles by ten to one, and the future belongs to streaming media and video on demand. This one is a classic. In 1980, when IBM was looking for somebody to build a disc operating software for its brand-new IBM PC, Microsoft was not its first choice. In fact, none other than Bill Gates suggested that Big Blue approach Gary Kildall of Digital Research, author of the CP/M operating system. 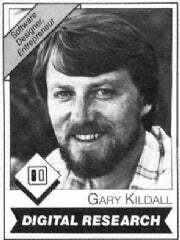 The legend is that Kildall blew IBM off to go fly his plane. The real story is that Kildall was flying to deliver a product to another customer, leaving his wife to negotiate with IBM. Dorothy Kildall didn't like parts of the deal IBM was proposing and sent the executives packing. Big Blue went back to Gates, who with his partner Paul Allen whipped out MS-DOS, based on Tim Paterson's QDOS (the Quick and Dirty Operating System), which was itself based on CP/M. IBM ended up offering both Microsoft's DOS (for $60) and a version of CP/M ($240) to buyers of the original IBM PC. The cheaper product won. Before DOS, Microsoft's biggest products were versions of the BASIC programming tool. After DOS, well...you know the rest. Would Microsoft have grown into the monolith it is today without the IBM contract? We'll never know. Here's another classic tale. More than a decade before the Macintosh and Windows PCs, before even the MITS Altair, there was the Alto, the world's first computer with a window-based graphical user interface. Invented at Xerox PARC, the Alto had a mouse, ethernet networking, and a what-you-see-is-what-you-get (WYSIWYG) text processor. 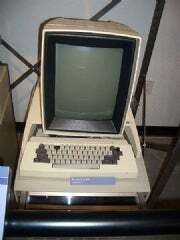 But in 1973 the personal-computer market didn't exist, so Xerox didn't really know what to do with the Alto. The company manufactured a few thousand units and distributed them to universities. 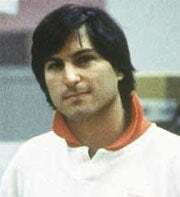 As legend has it, in 1979 Steve Jobs visited Xerox PARC, saw the Alto, and incorporated many of the Alto's features into Apple's Lisa and Mac computers. Shortly thereafter Xerox finally realized its mistake and began marketing the Xerox Star, a graphical workstation based on technology developed for the Alto. But it was too little, too late. Next: Five more blown opportunities, including Napster, CompuServe, and Craigslist.